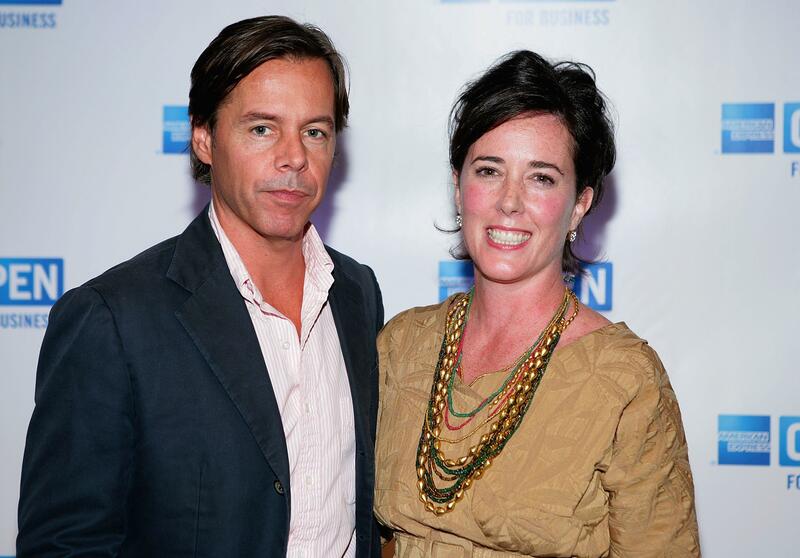 Kate Spade's husband Andy Spade issued a statement Wednesday saying the designer "suffered from depression and anxiety for many years." Kate Spade was found dead Tuesday in an apparent suicide. "She was actively seeking help for depression and anxiety over the last five years, seeing a doctor on a regular basis and taking medication for both depression and anxiety," Spade said in the statement, which was obtained by The New York Times. "There was no substance or alcohol abuse. There were no business problems. We loved creating our businesses together. We were co-parenting our beautiful daughter. I have yet to see any note left behind and am appalled that a private message to my daughter has been so heartlessly shared with the media." Kate Spade's sister, Reta Saffo, told CBS News in an email that the designer suffered from bipolar disorder. "It finally took its toll on her," Saffo wrote. "A very tragic and sad ending to the life of a very colorful and delightful being." She also said that she "tried numerous times to get her help." Spade confirmed he and his wife, who he married in 1994, had been "living separately" for 10 months. He said they were living blocks from each other, and their 13-year-old daughter, Frances Beatrix, was living with both of them. "We were not legally separated, and never even discussed divorce," Spade said. "We were best friends trying to work through our problems in the best way we knew how. We were together for 35 years. We loved each other very much and simply needed a break." Despite rumors, Spade insisted "this is the truth" and "anything else that is out there right now is false." A housekeeper on Tuesday found Kate Spade hanging from a red scarf tied to a doorknob in her bedroom, according to police. The designer left a suicide note addressed to her 13-year-old daughter, telling her it was not her fault, reports CBS News correspondent Jericka Duncan. "The contents of that note as well as the physical state of the apartment and the comments of the witness lend to the credibility that it is an apparent suicide," NYPD Chief of Detectives Dermot Shea said Tuesday. The 55-year-old became a fashion industry darling in the 1990s with a simple but whimsical style. She and her husband built a fashion empire around her signature handbags, counting celebrities like actress Ellie Kemper among her clientele. Spade stepped away from the limelight after selling her company in 2007, but she recently mounted a comeback. "I, personally, I don't know about Andy -- took off a good nine years raising my daughter and absolutely adored every moment of it," she said in April.